Love your work. 😁 I use Vallejo paint and Liquitex Professional mainly. Both brands sell special effects mediums. You mix these to get many interesting effects. 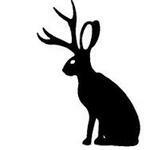 Check the main sites for interesting videos. Greetings all! It's been very hot here in Sydney lately which takes away all my desire to paint. 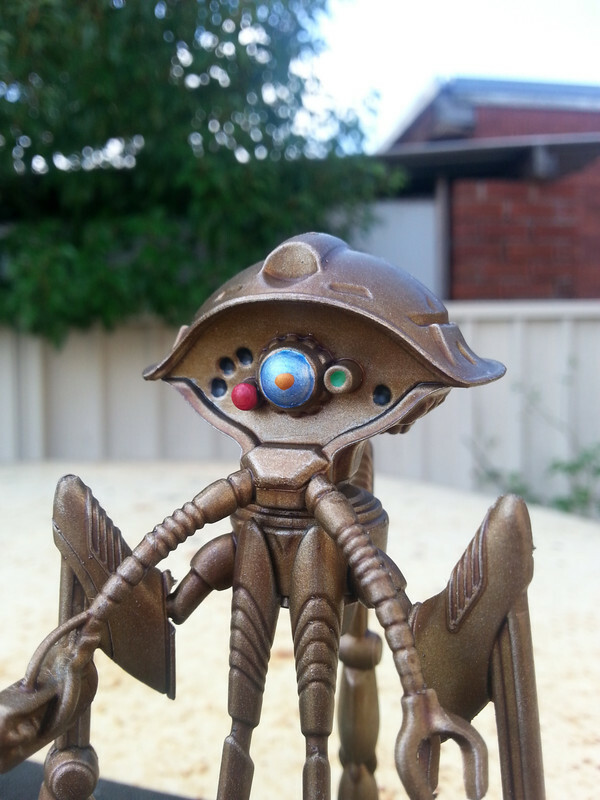 Yesterday however we had an unusually cool day and night so I started my Martian scouts! I'm hopeful of having these done by the end of the week. Have a picture! hardlec ,thanks! I mostly use Vallejo myself. I have a few GW and Army Painter paints too but mostly for specific purposes. I haven't heard of liquitex before so I'll have check them out. 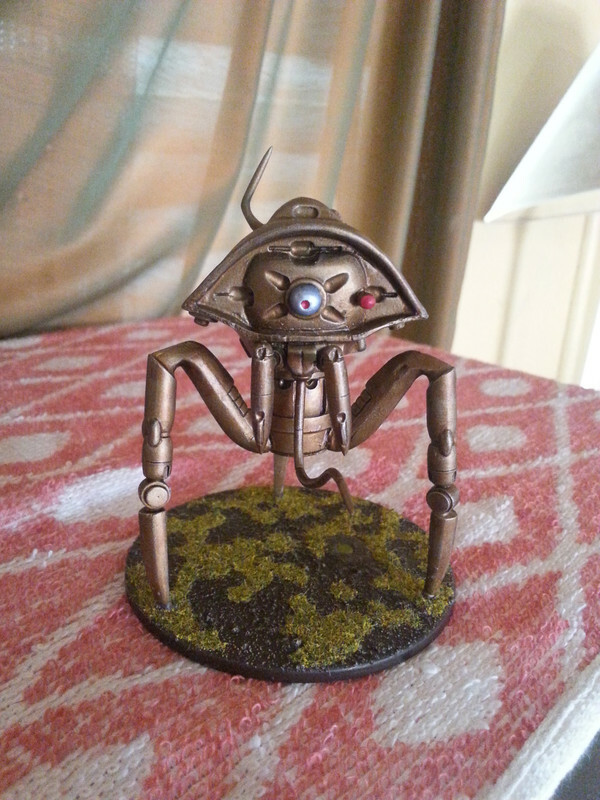 I'm getting more interested in cool effects and how I can incorporate them with my minis. madmorgan, thank you sir! 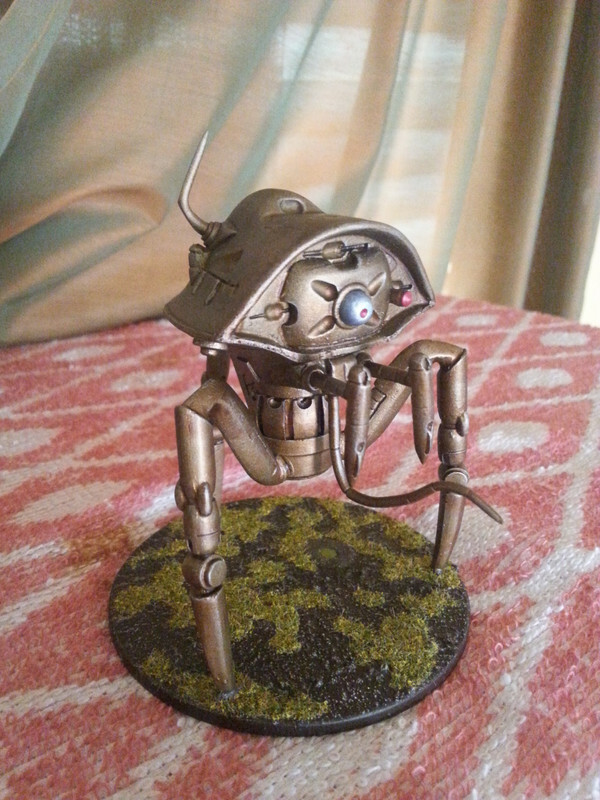 I'm having fun and enjoying my modelling/painting these days and I think it shows in my minis. I used to stress out about getting a mini perfect, now I just experiment and trust my skills. 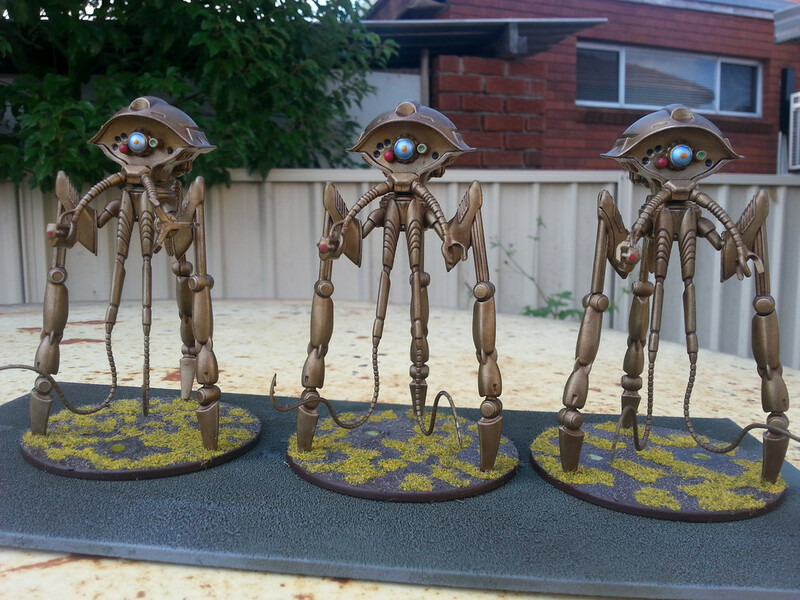 Well I've finally finished three of my scout tripods, hooray!! I like these ones quite a bit and I'm happy with how they turned out. 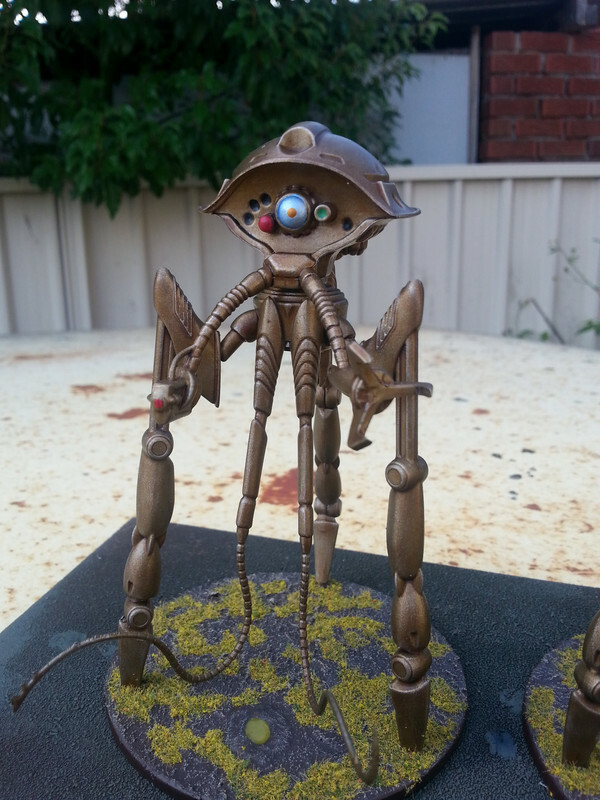 I used the same technique as my other tripods but I did experiment with the eyes/sensors. 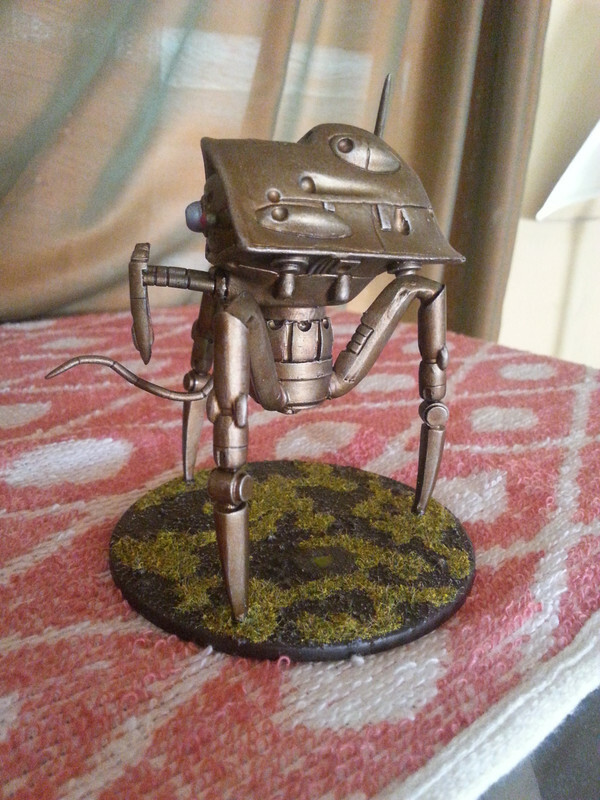 I'm not entirely happy with the main eye but it does work and stand out, I wanted it to mark them as different to the assault tripods. 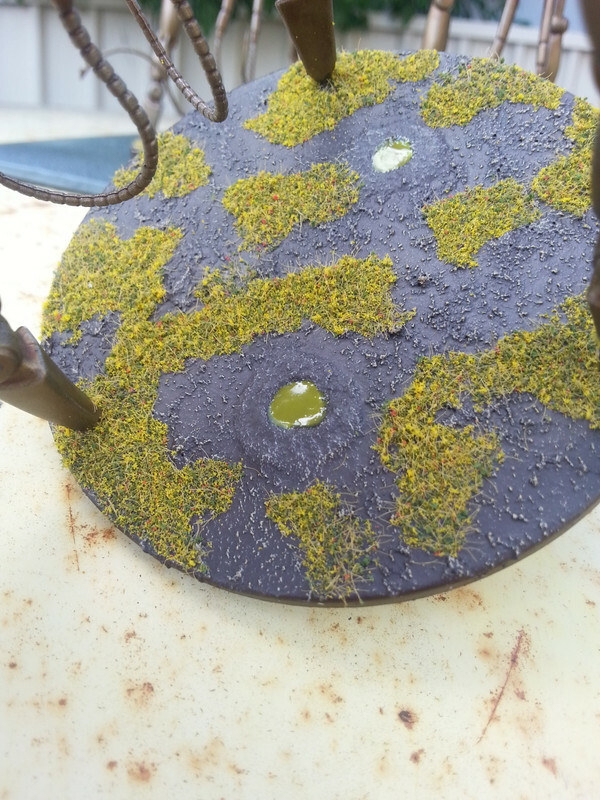 I also attempted the scum craters again. This time I used a more dayglow green paint, the same one I used on the green gas balls. 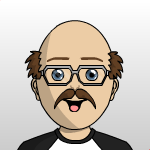 I think it looks a bit better. Some pictures! I'll have some better lit ones tomorrow. I'll be giving this guy his war paint next! 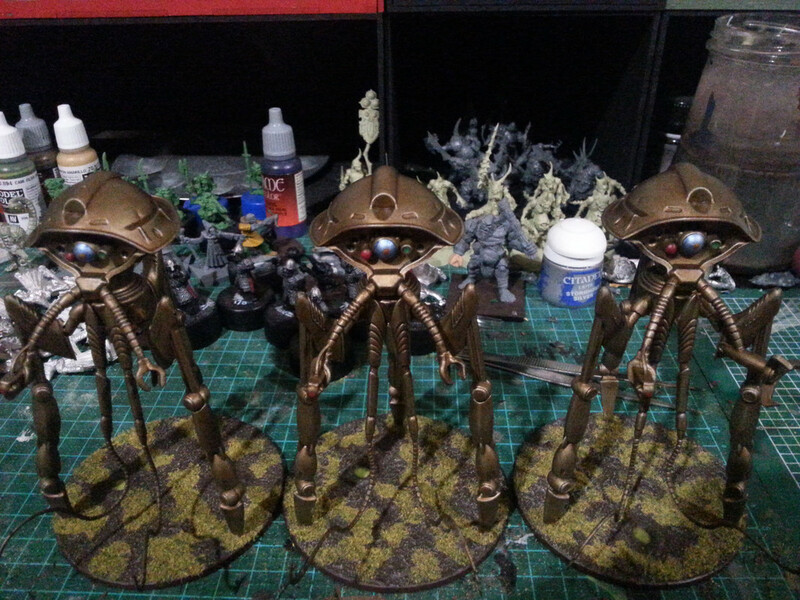 Here are some better lit pictures of the scout tripods. Sarge, I think we're gonna need a bigger gun. 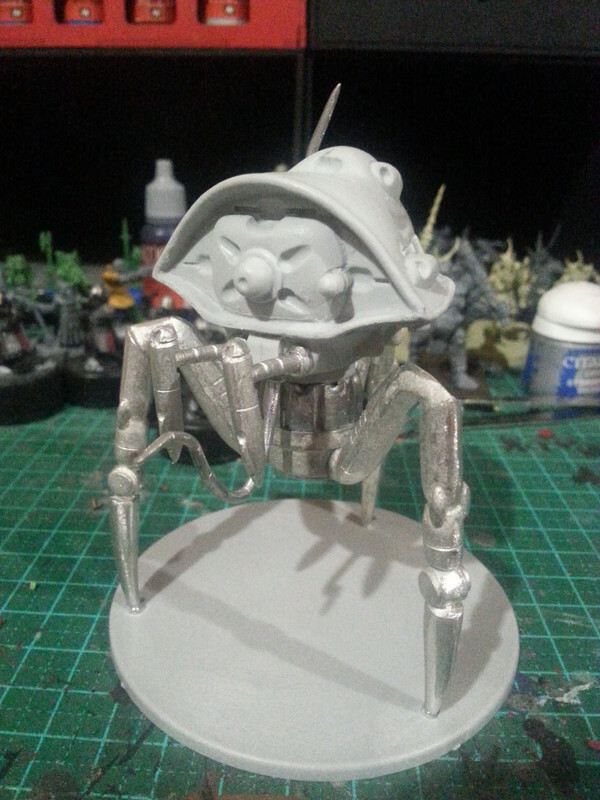 The martian advance continues with a new tripod to crush the puny humans! The bases are another happy accident. I picked up the grass material in clearance grab bag from a game shop. It works really well for these minis and this scale. 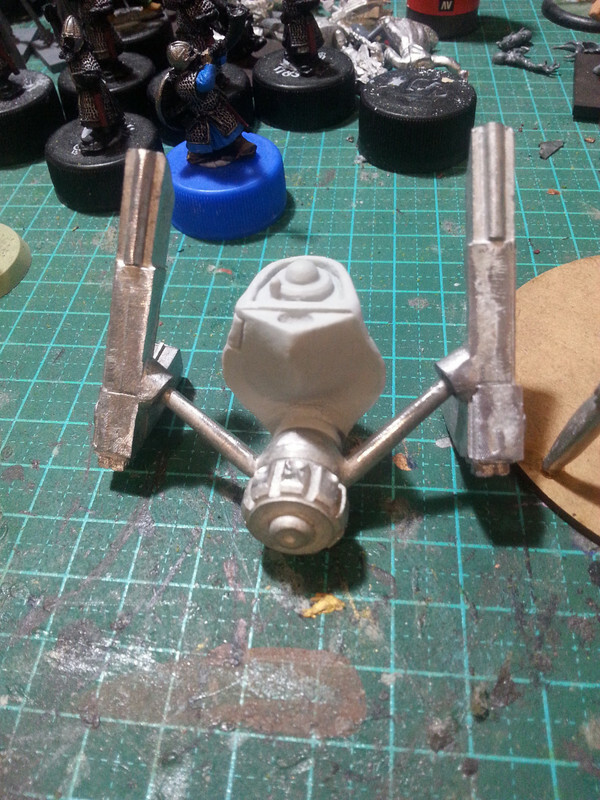 Something I've done with my 40k Imperial Guard - cut a hand off a figure and put in one of the puddles. Then have the wounded trooper with a burnt or bloody stump still in action. For my Cadians, I put a helmet upside down on the stump, looking like he's holding it and covering the missing hand. Lots of possibles with this kind of technique. 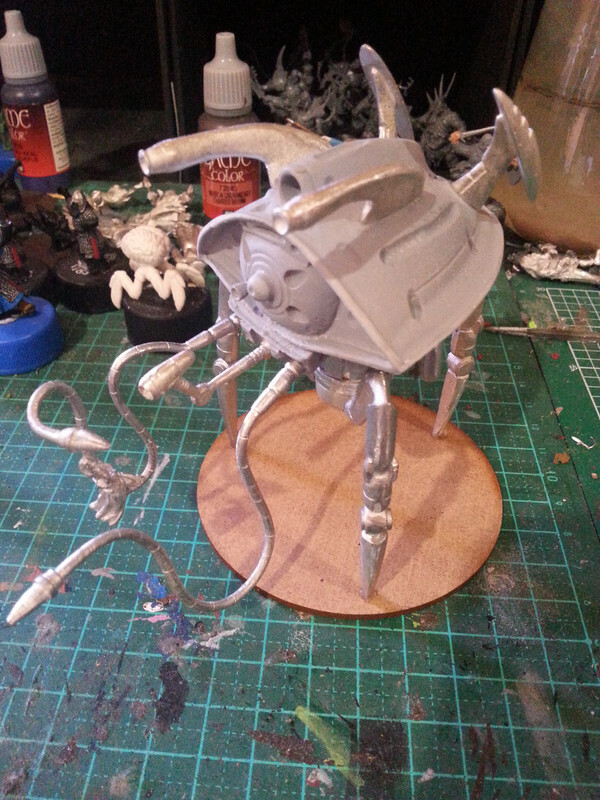 The next tripod is being assembled, big guns to match the humans! Gory but brilliant! 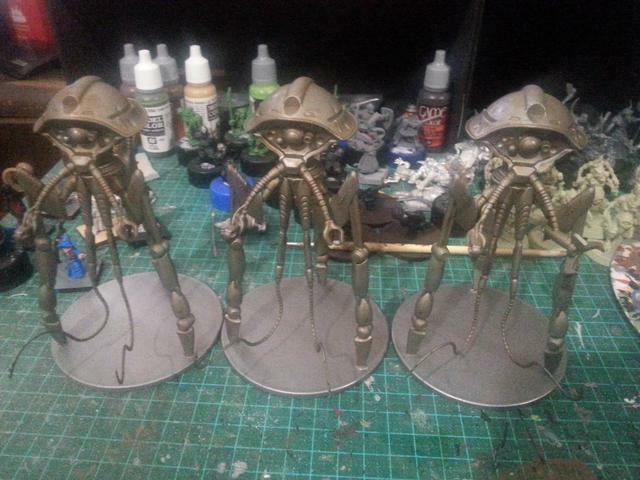 I'm thinking of adding some of my infantry minis to the Martians bases, especially the drones. I've got an idea to use the radio/telephone guy, have him hiding behind something and calling in the martian position (for help too!) 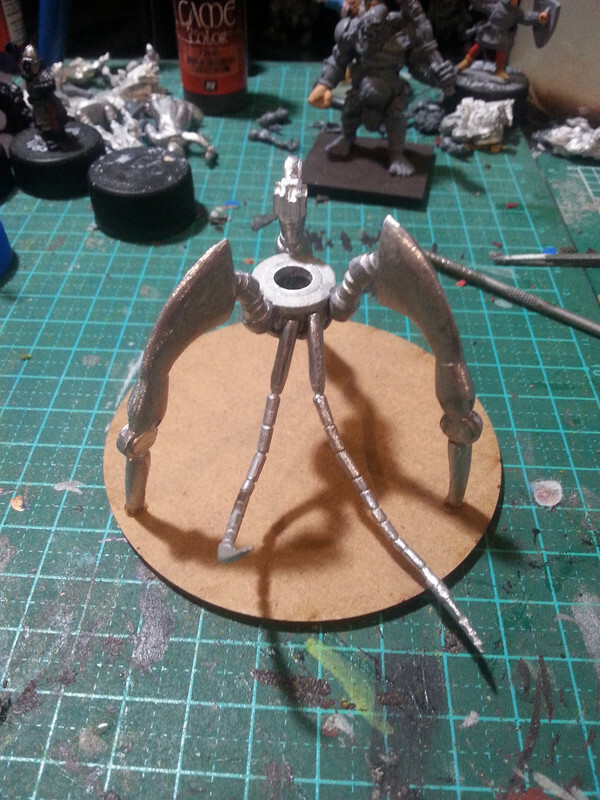 Lots of possibilities with the big tripod bases. 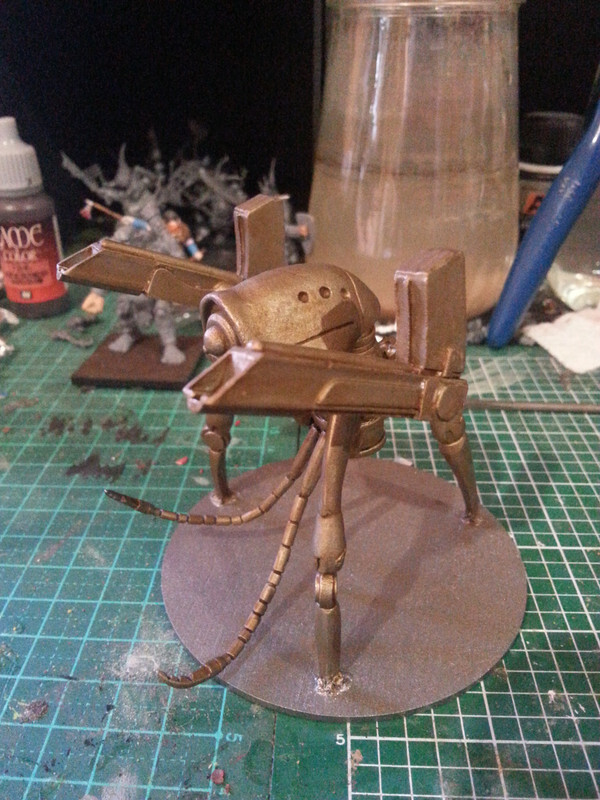 I'm getting the colour on the Grenadier tripod. It should hopefully be done today and ready for varnish. It's a great mini once it's all together but it was very frustrating to assemble. 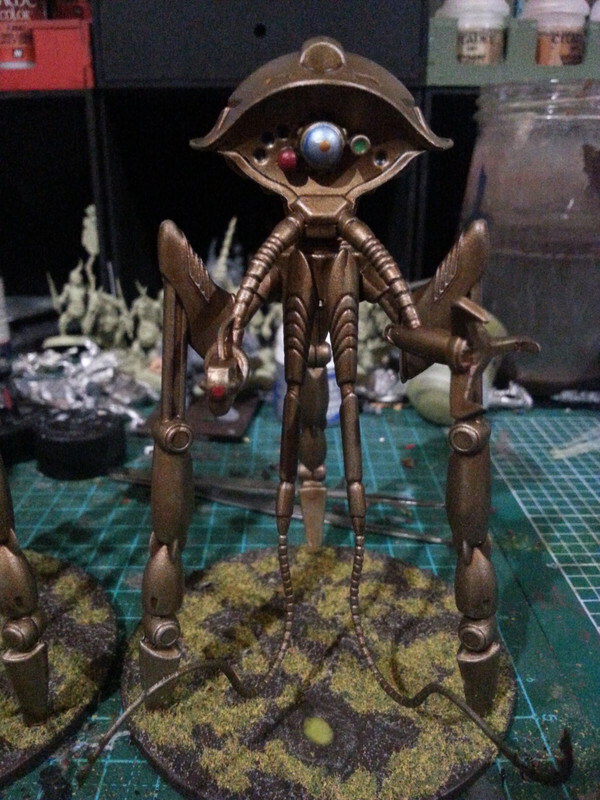 I've also assembled a scientist tripod. I've got to say it's an impressive looking mini once it's all put together, I really like it! !